Right now there are ongoing very sophisticated Frequency Wars that you are not allowed to know about. It all started with Nikola Tesla and his miraculous discoveries and inventions. We now have AC electrical current in our homes instead of the inefficient DC because of Tesla’s genius. 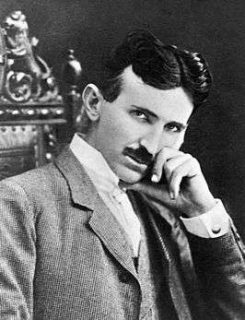 When Tesla was murdered and his papers were seized by the FBI Tesla’s discoveries on the power of frequencies and zero point energy were quickly buried. Some of his most important discoveries regarding Zero Point energy (aka Cosmic electromagnetic wind) and scalar frequency weapons were seized and kept secret. Later on due to research on telegraph and radio as communication devices and the advent of world wars 1 & 2, major discoveries on electromagnetic frequencies (EMF) emerged on several fronts. Thus there was the important development of radar during WW2. The Japanese developed the use of targeted EMF which was somewhat successfully deployed against several low flying American aircraft near the end of the war. This is the first known use of targeted EMF as a weapon of war that we know of. These Japanese technologies were quickly brought to American Defense Contractors by the Pentagon after Japan’s surrender. The Nazis initially had great success developing remotely guided bombs dropped on ships from their aircraft and these devices had TV cameras in their noses. The US Navy developed electronic countermeasures to hijack the control systems of these guided bombs and were able to hack into their TV signals and watch their camera images that were transmitted. These German guided bombs were actually the technical precursors to the guided precision bombs (e.g. JDAMS) deployed by the US Military in all their unconstitutional illegal Mideast wars for The City of London based Ruling Cabal and Israel (their main cutout and action agent used to protect Mideast oil interests). Some fairly sophisticated radio jammers and radar countermeasures were developed during WW2. This development has continued at an advanced pace ever since. The second known deployment of EMF as a weapon of war occurred at the US Embassy in Moscow from the period 1953 to 1976. Numerous diplomats and their staffs developed blood dyscrasias and other symptoms, feeling quite ill and some developed serious and even later lethal cancers. When the CIA became aware of this, rather than taking measures to protect these diplomats and their staffs, they allowed the EMF abuse to continue in order to study the effects and called this Operation Pandora. Under Operation Pandora it was found was that the Soviets were transmitting high powered EMF through the embassy to power bugs built into the walls, and to experiment with remote inductive EMF mind-kontrol against US diplomats and their staffs, in order to stress their mental and physical health while studying the effects. Rather than working to stop this when the CIA found out, they became an accomplice to these sinister and silent EMF crimes against American diplomats and their staffs in Moscow. It is suspected that various back-channels were used with The KGB to form some kind of working agreement to run this experiment and study the effects. The CIA agreed to avoid informing the Diplomat’s during the experiment and kept collecting health data. When so many became ill that the experiment could no longer be contained, the USG shut down the embassy and built another one, this one also bugged up with numerous more advanced but safer KGB bugs. The next major deployment of powerful EMF as a multi-purpose military device occurred during the 1970’s in the Soviet Union. 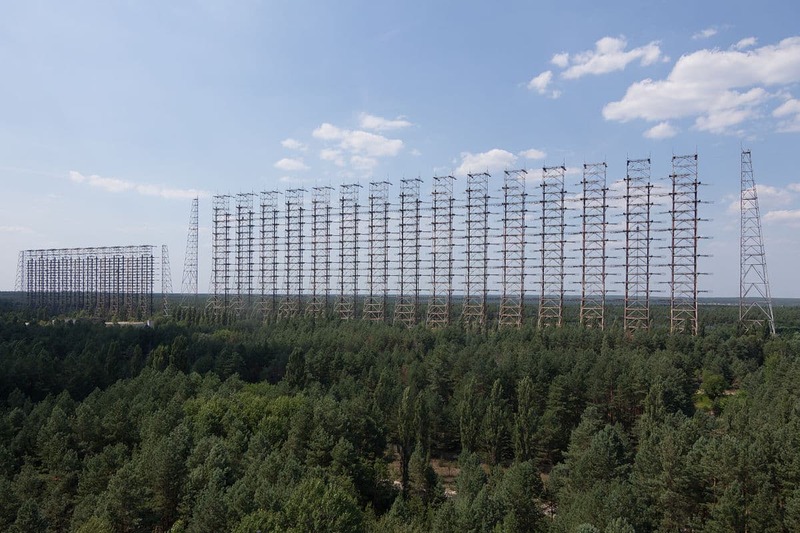 This was called the Duga Array (Woodpecker System) and included several functions such as over the horizon radar for sensing foreign attacks missile and aircraft attacks, and for experimentation with mind-control on the western masses. The Pentagon realized that the Soviets were the world leaders in the deployment of all phases of EMF as electronic warfare and Mind-control and decided to take drastic actions to curtail their deployment. According to some insider reports a sophisticated covert action was deployed against the Woodpecker. A well trained Mujahedeen group (seeking revenge for the Russian invasion of Afghanistan) was deployed to take out the cooling system of Chernobyl, thus depriving the Woodpecker array (located nearby) of its necessary power source. 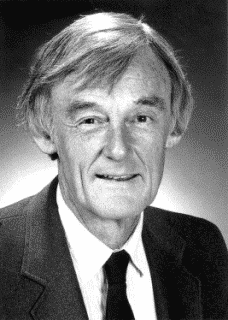 Ross Adey, MD, a renowned scientist and physician. Dr. Adey voiced concerns in peer reviewed journals and in scientific circles over possible EMF benefits as well the dangers, but was largely ignored. At the end of the cold war, an American MD researcher, Ross Adey, MD acquired the Soviet developed Lida Machine, which was actually quite a sophisticated EMF mind-control device. It is a known fact that sophisticated EMF mind-control weapons have been deployed by the CIA in the past as a part of the notorious, infamous Project Aquarius. Countermeasures were developed by another group called Committee of Twelve (Comm 12). Comm 12 is a long-term US Intel operation that has been known to be taking active measures against the Aquarius Group and has been reported by some to have worked hard to secretly elicit a powerful rearguard action in America to restore the US Constitution using the Alt Media. It is well established fact that the Pentagon deployed the Voice of God (e.g. Voice to Skull technology), remote induction device in the first Gulf War against the Iraqi Republican guard. The voice of Allah was remotely entrained into their brains ordering them to throw down their arms and surrender. This technology was then put on the shelf to keep it from becoming commonly known. Later on in the second Gulf War high powered EMF poppers (small globes, actually EMF transmitters) were deployed to tranquilize and pacify the masses, but these were not effective and merely gave the GI’s headaches and made them agitated. Recently in late 2016 it has been reported that US Diplomats in Cuba and some of their staffs have suffered ear damage from being exposed to EMF weapons. These have been blamed on the Cuban Communist Party but a better bet would be a joint effort by the CIA and the Mossad to do so in order to keep the US and Cuba from developing a more open arrangement and the restoration of trade and mutual travel. It is a know well verified fact that numerous efforts by the Pentagon were made to counter the aggression and expansion of the Soviet Union under Stalin and after his death. The really sad thing is that the Pentagon never addressed the real enemy, the City of London (COL) Banksters and Wall Street Banksters that set up and financed both the Soviet Union in 1917 and Nazi Germany too. During the Vietnam war, the Pentagon developed and deployed some very sophisticated EMF based spying tools through the NSA. All of the CIA’s Air America opium shipments were easily tracked, specific locations of almost every single POW/MIA was able to be tracked. Almost every single radio emission became quite easily snatched from the airways. It is now well documented that the Pentagon constructed the HAARP array in Alaska as an experimental means to heat the ionosphere. Supposedly, HAARP is now obsolete and has been retired once the experimental data was obtained. Better results can be obtained through the use of orbitally transmitted Scalar (standing wave) and Inter-dimensional wave devices (D-wave devices). At the same time HAARP was constructed 9 other similar arrays were constructed around the world. It is unknown for sure who ordered these or who actually controls them. I suspect that it is a some kind of Secret Space War coalition between various large governments of the world perhaps even including the USG, and the Russian Federation. Apparently large HAARP type visible arrays are obsolete and the same effects can be more effectively and efficiently obtained through ground based flat or orbital EMF systems featuring Scalar (standing waves) and inter-Dimensional Waves (D-waves). If insider reports are accurate and so far they are not fully corroborated, this system was the first phase of the major governments of the world to construct a space fence protective shield for Planet earth against any possible future invasion from Alien ET entities. There have been other insider reports from the past that President Ronald Reagan negotiated secret “Earth Defense” Agreements with the major powers to construct such means to protect Planet Earth from any future Alien ET invasion force. Reagan called this effort “Star Wars” and after he left office, these programs went completely black. Now if these rumors are true it means that most wars during modern times are all pre-planned and negotiated in secret between various world leaders who have secret allegiances. Some researchers have suggested that these secret allegiances include a strong commitment to the City of London based “Moneychangers” or perhaps secret Masonic or occult organizations. We now live in a situation where cell phone systems and Wi-Fi systems have been deployed worldwide. And in the US and much of Canada a sophisticated Smart-Grid electrical supply system is now being set up that features Smart-Meters. Smart-Meters are believed by many to be dangerous. They are not UL approved, and are unlicensed EMF, unregulated powerful emitters of pulse beam microwave that can create insomnia and serious health effects. Some believe they are the weaponization of EMF and also can be used as spy devices as well as EMF based Mind-kontrol. These meters can easily be turned off along with the a whole section of the Grid and used to produce a fake, false-flag EMP when a highly visible powerful aerial detonation is deployed at a high altitude at the same time. These consumer based Cell phone and Wi-Fi EMF systems are triple use: They provide for great consumer conveniences and instant communication almost anywhere; they provide Intel with instant spying; and they also provide Intel with the ability to deliver serious brain entrainment using EMF for mind-kontrol. Some have suggested that these devices have the capability to be used by Intel to make targeted individuals confused, anxious, insomniac, or chronically or terminally ill. In any event it appears that the new EMF technologies were first developed as weapons of war against foreign enemies and then were also deployed as a collective effort to protect Planet Earth. It also appears that these EMF “silent weapons”, have become far too tempting for existing governments for use as a sophisticated measure to control their own masses, and thus they are now doing so in secret. Much of this current deployment against We The People by the Secret Shadow Government has been rationalized by labeling these EMF weapon systems as “non lethal”. The bottom line is that apparently the USG (and perhaps many other major governments around the world, or a secret coalition of the largest ones together collectively) have now decided to turn these EMF weapons against their own people in order to control the subconscious mass mind through mass deployment of remote EMF inductive entrainment of brain waves. 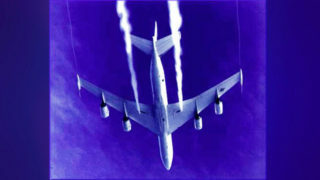 It is now believed by some scientists that all the Chemtrails sprayed are part of a sophisticated “Space Fence” ionized radar system and also a state-of-the-art defensive system against ICBM, aircraft and UFOs as well as a means to deliver electronic mind-kontrol against the masses to entrain their brains and control them. According to Robert Duncan, Ph.D. who was a scientist working for the CIA at one time, the technology necessary to “hack the human brain” has already been developed and deployed and is being misused to torture millions. The USG has a long history of the deployment of secret EMF deployed as a mind-control agent dating back to at least 1992. The Cell phone system was planned as a sophisticated mind-control weapon of war long before it was deployed all over the USA and the world. There are very good insider reports that many unfortunate EMF victims who are tortured by targeted EMF, some also gang-stalked and seriously harassed by the FBI too (just like the old Cointelpro days), and all this has been done to Whistle-blowers and dissidents and well as many innocent folks used as mere experimental controls. Obviously the deployment of these EMF weapons against such folks is evil beyond words and must be stopped. Before it can be stopped the public must become aware of the many dangers of misused EMF. More and more is now being published in the alternative media on this subject, and mainstream science is beginning to examine it honestly. In the past honest scientific studies that showed the dangers and misuses were buried and the major mass media would never carry them. The result of this decision to deploy EMF against We The People and the world as a secret weapon of war has been unknown to most and is actually now being understood for the first time to be harmful to one’s mental and physical health and mindset. The EMF deployment as a weapons of war against We The People now included cell phone systems, Wi-Fi, remote phones and also some deeply secret EMF means such as satellite based Scalar and D-wave quantum transmissions used for the mass control of beliefs, attitudes, and mindsets as well as the weather. It is now believed by some insiders that the purpose of this massive deployment of EMF weapons against the world’s masses is to shape and control their mass thinking (Mind-control), to generate unending weather catastrophes, in order to generate massive social and economic chaos. The over all goal of the secret Cabal responsible apparently is to generate enough world chaos to destroy all the old social systems and nation states, so that the world can be massive depopulated. This will supposedly allow this Cabal to create their own Luciferian society as their long hoped for “Phoenix” from the ashes. And now we have the 5G systems coming soon unless stopped by dramatic community actions to fight this. These 5G systems have remarkable capabilities to transmit large amounts of data very fast and other benefits highly desired by the consumer like most multi use EMF deployments. Because EMF based devices such as cell phones and Wi-Fi offer so many consumer conveniences they were quickly accepted and used by the masses. 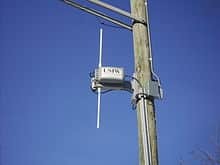 5G can be easily adapted to be used to “see through walls into structures”, and weaponized to cause physical and mental disorders, even cancer and other lethal medical problems if those those that will control it decide to use it that way against those identified as political or domestic enemies.